The Studio 6 property, located at 1600 North Central Expressway in Plano, TX is owned by franchisee Dinesh (Danny) Patel. G6 Hospitality today announced the opening of its newest Studio 6 location in Plano, TX. Providing all the amenities needed for a comfortable and enjoyable extended stay experience, along with the brand’s award-winning modern “Phoenix” design, the Studio 6 location is a fully renovated property offering a smart choice for value-oriented guests in the Dallas-Fort Worth metropolitan area looking for extended stay lodging. The Studio 6 property, located at 1600 North Central Expressway in Plano, TX is owned by franchisee Dinesh (Danny) Patel. Patel is a long-standing partner of G6 Hospitality as he currently owns and operates two Motel 6 properties in Wichita Falls and Mount Pleasant, TX, and has an upcoming new property in Van Buren, AR, slated to open in late 2017. The fully renovated extended stay property is comprised of 91 rooms across three floors and features elements of the brand’s award-winning “Phoenix” design. Along with a fitness center, lobby sitting area and marketplace for guests to utilize, this full renovation also features rooms with sleek wood-effect flooring, flat-screen televisions, pedestal beds, granite bathroom countertops, and a bold color scheme. Additionally, the Studio 6 Plano provides all the necessary comforts of home – including a fully-equipped kitchen with a microwave, refrigerator, and cookware, guest laundry, expanded cable, Wi-Fi, and parking – combined with the great services and rates for which the brand is best known. 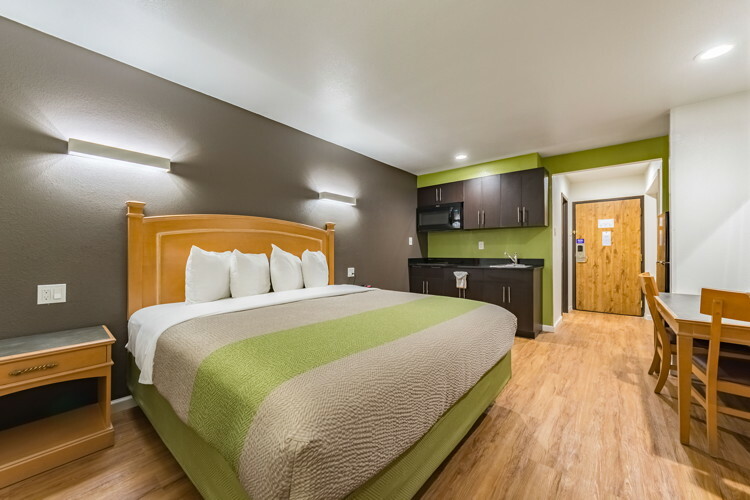 G6 Hospitality LLC owns, operates and franchises more than 1,400 economy lodging locations under the iconic Motel 6 and the extended stay Studio 6 brands in the U.S. and Canada, and Hotel 6 and Estudio 6 brands in Latin America. Are you with G6 Hospitality? If you are a member of G6 Hospitality you may be interested in learning how to optimize your content on our network.